Debbie Wilson is a RGN/RMN (Registered General and Registered Mental Nurse), with BSc (Hons) Nursing and Human Science, Pg Dip Advanced Healthcare Practice, and is a Doctoral Candidate. Debbie qualified as a Registered Mental Nurse in 1992 before completing a BSc (Hons) degree in Nursing and Human Science, also qualifying at that time as a Registered General Nurse. 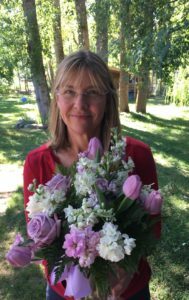 Working in critical care from 1996 until 2011 and moving from the UK in 2008 to live and work in New Zealand broadened her understanding of healthcare systems. 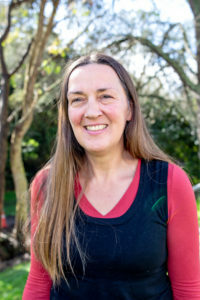 Since 2012 Debbie has led the Environmental Sustainability programme at CM Health after beginning a Doctoral study with Auckland University of Technology in 2012, scheduled to complete at the end of 2018. Exploring sustainable healthcare practice and researching the outcomes of the organisations recycling project and environmental sustainability programme, within the context of large scale organisational change management. Incorporating the elements of ‘green’ healthcare delivery with carbon reduction strategies, the impact of carbon intense activities are lessened in the face of growing economic, environmental and social issues.